While most Navy men–and most members of any branch of the U.S. military–are serving our country for lower salaries and benefits than the average American, some are apparently not so “civic-minded”. Federal authorities have combed through eight states since early Wednesday morning, arresting suspects in a sweeping investigation into fraudulent marriages between Navy sailors and illegal immigrants. 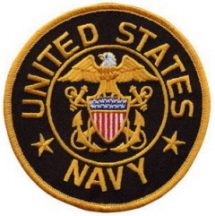 Three indictments unsealed Wednesday afternoon charge 33 people – current and former sailors and their brides. Thirteen defendants appeared in U.S. District Court as federal agents searched seven other states for the remaining suspects. Federal authorities have been targeting bogus marriages and Navy housing fraud for at least two years, having already arrested at least 40 other individuals here and in New York. This is the largest one-time sweep, and Navy officials said they hope this puts an end to the practice. More than 73 people have been arrested so far, with dozens convicted, jailed or deported. . . . The arrangement benefits both bride and groom. The brides, here illegally, get the fast track to green cards and, possibly, citizenship. The sailors get an increase in their housing allowances, plus payments ranging from $1,000 to $6,000 from their brides. Authorities say they also have national-security concerns: The illegal immigrant could be seeking to cause harm. . . .
Word of the scheme spread through Norfolk Naval Station over the past several years. Sailors learned they could take home thousands more a year in housing allowances if they married, according to court papers. The Navy said the scheme has cost taxpayers more than $225,000. . . . Most of the brides . . . came here on short-term student or visitor visas. The court papers say the marriages were never consummated. . . .
Other arrests were being made in New York, Ohio, Pennsylvania, Tennessee, Kentucky, Georgia and California. One attorney representing a defendant in a related marriage fraud case questioned the government’s methods in tackling the problem. Stephen P. Patrizio, a Philadelphia attorney . . . said he doesn’t understand all the effort being put into jailing illegal immigrants in marriage fraud cases when they will end up being deported anyway. Some of the soldiers in the case are stationed aboard the Iwo Jima, another amphibious assault ship. Talk about serving with dishonor. These Navy men need to be court-martialed. They absolutely should be court-martialed. These are the kinds of things that happen when there is the erosion of law going on nationwide, laws against illegal aliens aren’t enforced, treason by the NY Times goes unpunished, ex-presidents supporting our enemies gets a wink and a nod, politicians with $90,000 in their refrigerators are excused by both Democrats & Republicans. It gets worse and worse. Was the ICE Company involved on this investigation? CNN only mention NCIS (the real one, not the one on CBS). Me thinks the ICE Company may have been too busy chasing chicken s*** stats to be concerned about homeland or national security for the past two years. Thanks again, “Julia” Myers! You’re doing a heck of a job. PS. Buh Bye Bubba! Me see you jumped into the lifeboat just before the ship went down. Scams and graft: how the governments thrive on our money and liberties. Court-martialed? Personally, I can’t say I blame them for what they did. As someone who is married to a U.S. Army soldier, I can honestly say that the people who fight to protect our country don’t get paid nearly enough to put their lives on the line every day for people who don’t appreciate it. Not only that, but there are people who get married for far worse reasons, and their cases usually aren’t given a second thought. If you kick these sailors out, get ready to kick out Generals and Admirals, too. Have any of you ever been to a military town? All those Asians working in the Cleaners, Barbershops, Grocery Stores, etc more often than not married their way over here when a soldier was serving overseas. It’s kind of difficult to get to know someone and marry them after a year (the normal tour of duty OCONUS) esepcially when for the first six months you dont speak the same language. Thank you nikki for posting, We get paid enough, but people still don’t give a damn what we do. Throw the whole damn UCMJ at ’em! I wonder who is investigating the PNs and DKs at all the PSDs etc. The point to “Asians” is true, however don’t forget about all the Filipinos at the PX/BXs, working in Facilities Management, the McDonald’s, Burger Kings, commissaries, MWR et al etc. This is not to say everyone is bad, it is a simple fact. It reminds me of the part in Rambo, where the hazeled eye AK totin’ gal says, “We go Merica Wambo?” I didn’t serve for the pay, or appreciation; I served because I wanted to serve. All give some, some give all. The Iwo…about as squared away as the USS “tr”Ashland, and the USS Nashville.